The world’s biggest vehicle manufacturer and the nation’s largest fuel retailer have sealed an agreement to install almost 2,500 charging bays across up to 600 Tesco stores over the next three years in the UK. Customers will be able to charge their electric cars using a standard 7kW fast charger for free, or use the rapid 50kW charger at the market rate. The announcement follows a growing demand for more public charging points – with sales of electric and part-electric vehicles up by more than 20 per cent in the UK this year. 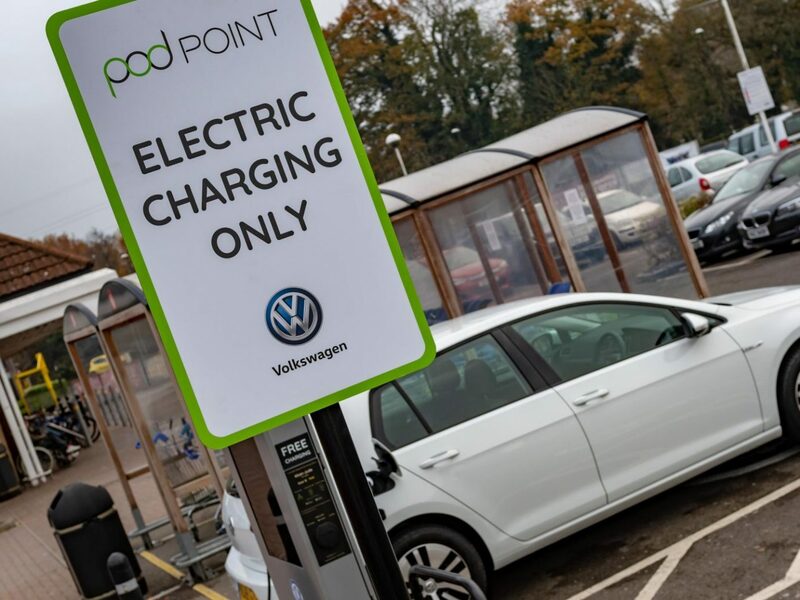 Charging bays will be based in prominent designated spaces at Tesco Extra and Superstore car parks throughout the United Kingdom, and will be installed by the largest independent public charging network operator, Pod Point. Volkswagen currently builds two fully-electric vehicles, the e-Golf and e-up!, but will be launching its new ‘ID.’ family of models over the next two years. A new Golf-sized electric model will go on sale next year, followed in 2020 by production versions of the ID. BUZZ people carrier and ID. CROZZ SUV concept cars. Figures from the Society of Motor Manufacturers and Traders (SMMT) reveal more than 120,000 ‘alternatively fueled vehicles’ have been registered in the UK in 2018 – a 22 per cent increase on the same period last year. 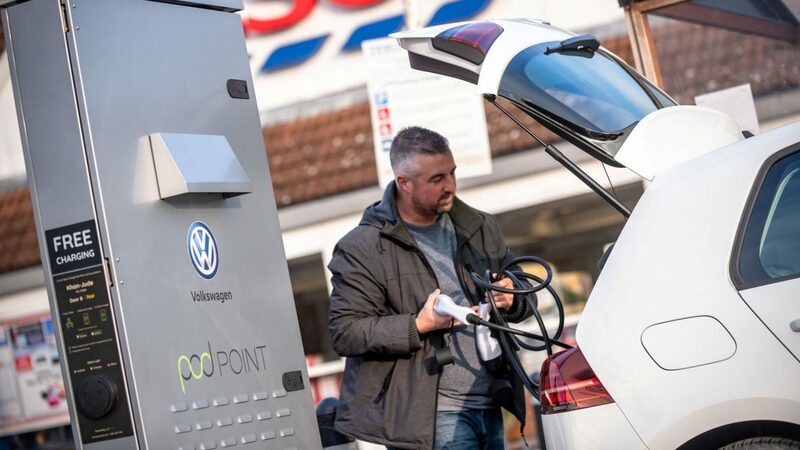 As the number of electric cars on UK roads increases, the charging infrastructure needs to improve quickly to support them and the partnership between Volkswagen and Tesco will see the number of public charging bays increase by 14 per cent.